Speed up your six packing with the Six Packer Machine. Your employees will love the ease of six packing. Just two pulls of the lever, and your six pack is ready for sale. 1. Lower the lever to release the precision-made cones onto the cans. 2. Place a Perf-Pak carrier over the cones. 3. Lower the lever again to press the carrier onto the can lids. Works on both 12 and 16 oz. beer and soda cans including tall Coors cans. 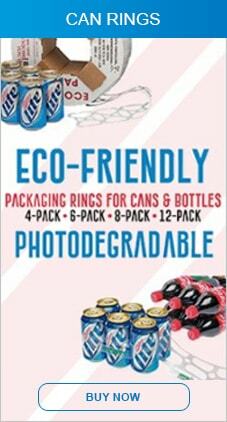 When using the Six Packer, Size #2 Perf-Pak six pack rings will hold most all beverage cans. You must use Perf-Pak six pack rings on the Six Packer machine. The Six Packer is a durable machine that you will use for years to come. Mumm Products backs the Six Packer with a one year limited warranty. Check out the Six Packer in operation. Wonderful equipment for packing both 12 and 16 oz. beer and soda cans Really impressed with the product. Made packaging easier and faster. Well constructed and easy to use!